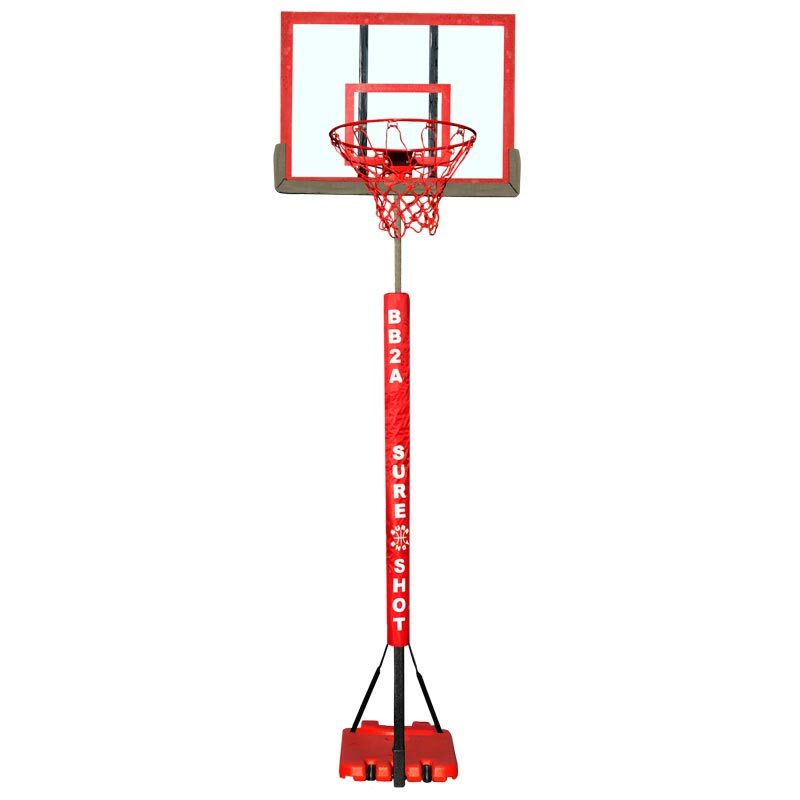 The Sure Shot BB2A Hot Shot Basketball Post is a great value unit and is suitable for children aged 6+. Its telescopic pole system allows the unit to be easily set at any height between 4’-8’ making it perfect for children as they grow and become more confident. Easily moved on the wheels which are an integral part of the base making the Hotshot ideal for home use - easy to move to and from storage. The product itself is sturdy and has been well used for a month with no problems. You can actually use the back board properly. The only issue I had was that the instructions and parts showed a different back board. This one looks better but it did mean that it came with one set of bolts missing so I needed to get another one. The back board that actually came looked more substantial that the one in the instructions so when actually put together looks good and I think will last.